To C-Man’s dismay, I absolutely love birthdays especially celebrating his. He was out of town for his special day so I decided that we needed to have a little treat upon his return. 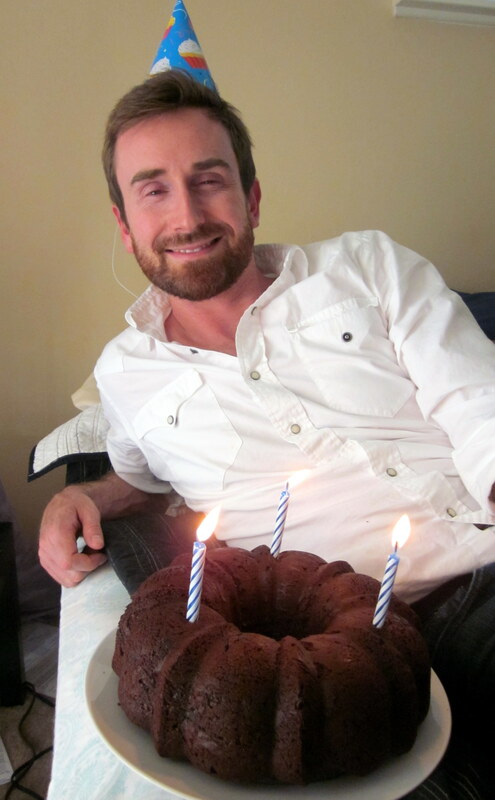 Growing up, C-Man enjoyed having his mom’s chocolate bundt cake on his birthday. His mom couldn’t make him one this year, but I attempted to carry on the tradition. Preheat oven to 350°F. 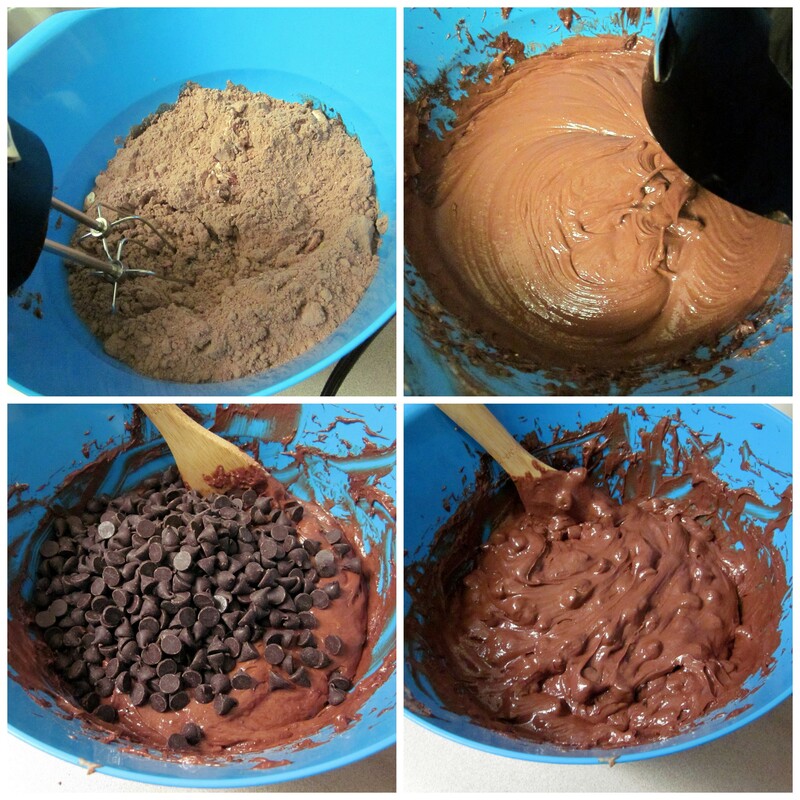 Mix all ingredients except chocolate chips. Fold in chips. Bake at 350°F for 45 minutes. Cool for at least 50 minutes. C-Man said he liked it, especially with the dark chocolate chips (just not the birthday celebrating part). 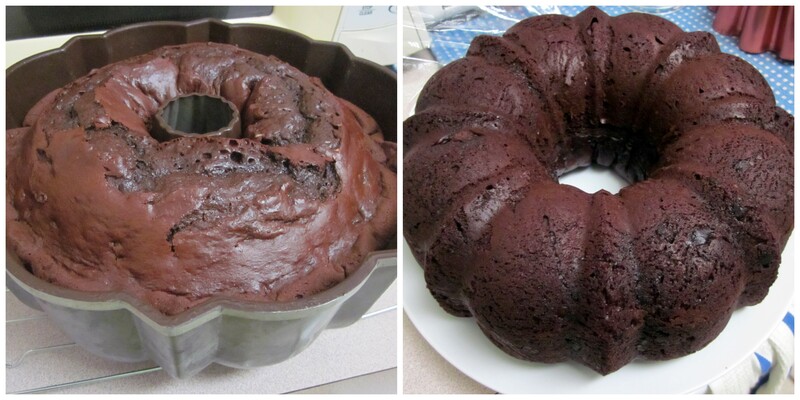 Glad it turned out well even though I misread the recipe and baked it for 50 minutes instead of 45. Whoops! 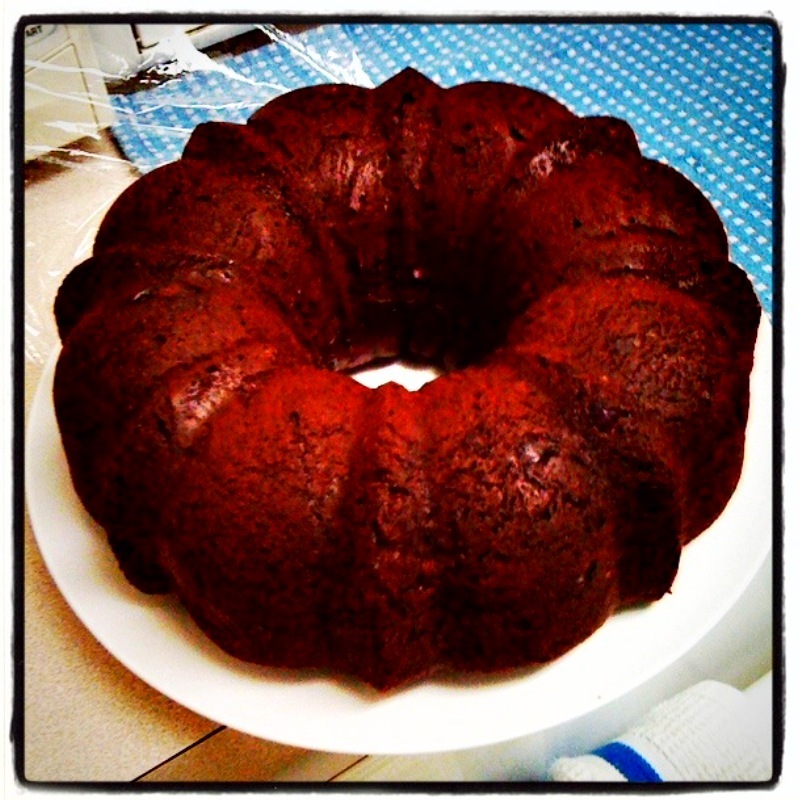 This entry was posted in Birthdays, Food and tagged Bundt cake recipe, Chocolate Cake. Bookmark the permalink. Wow.. that’s so awesome to have that recipe in the original handwriting and everything! Total treasure. Wish I was more into baking. 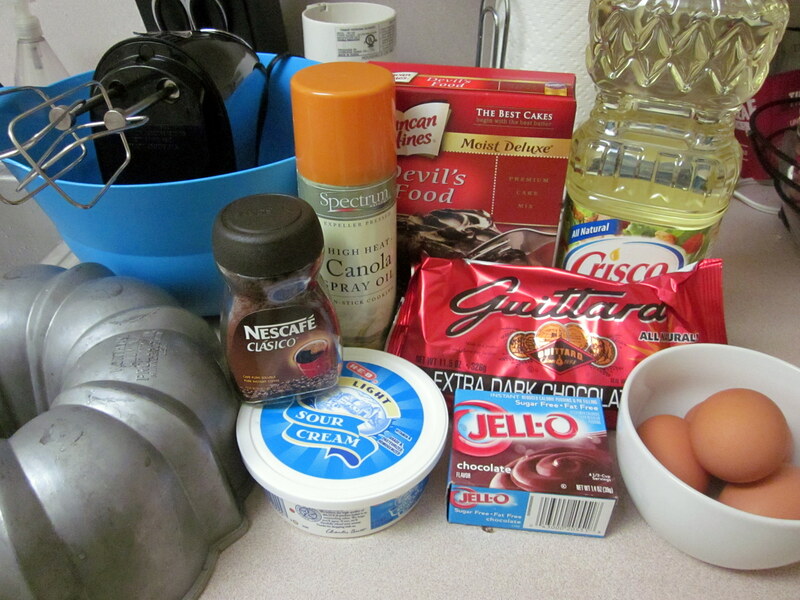 I could use a pretty bundt cake pan… no clue what I would do with it though. haha! This cake was awesome. 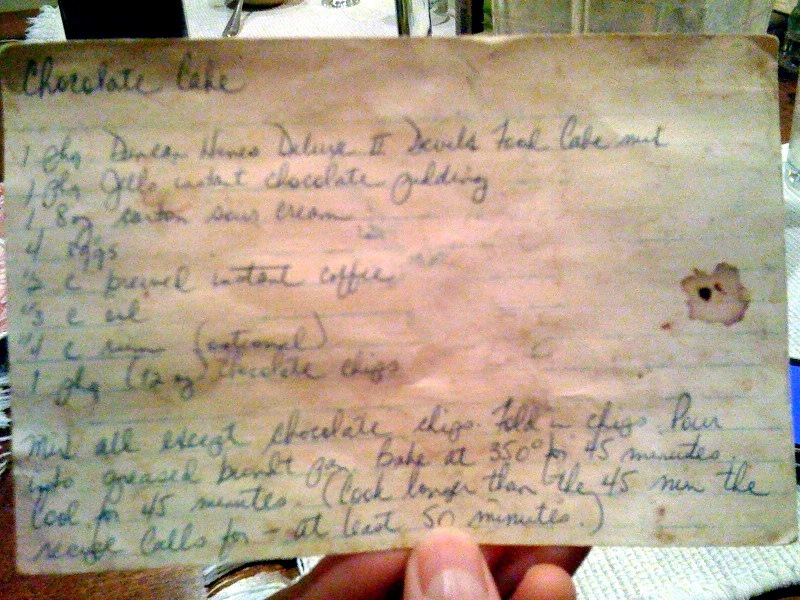 Cool picture of the recipe on the index card–I bet it’s from the early 80s. Also, great pics of the process of making it and retro bonus points for having the original pan. Would eat again. However, no thanks to you for screwing up my paleo that day hahaha. i love that you were able to use his mom’s original recipe!